At Allmould Plastics we offer several methods of plastic welding including: Ultrasonics, Vibration, Spin, Hot Plate, Laser / Infrared, Radio Frequency, and Implant are the most common. These plastic welding processes are primarily differentiated by their heating methods. Plastic Welding is the process of creating a molecular bond between two compatible thermoplastics. 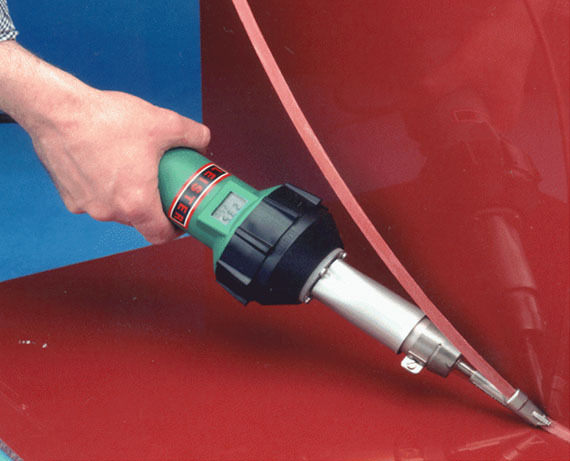 Plastic Welding offers superior strength, and often drastically reduces mechanical joining (snap fits, screws) and chemical bonding (adhesives). Heating Stage – The purpose of the heating stage is to allow intermolecular diffusion from one part to the other across the faying surface (melt mixing). Cooling Stage – Cooling is necessary to solidify the newly formed bond; the execution of this stage can have a significant effect on weld strength. Allmould Plastics have a vast range of quality plastic materials suitable for a wide range of industries and applications including Mining, Industrial and Construction. Specialised requests are welcome and we provide plastic maintenance repairs, fabrication and welding for our clients throughout Australia. Above we see the accuracy and durability of plastic welding on Polypipe junctions. 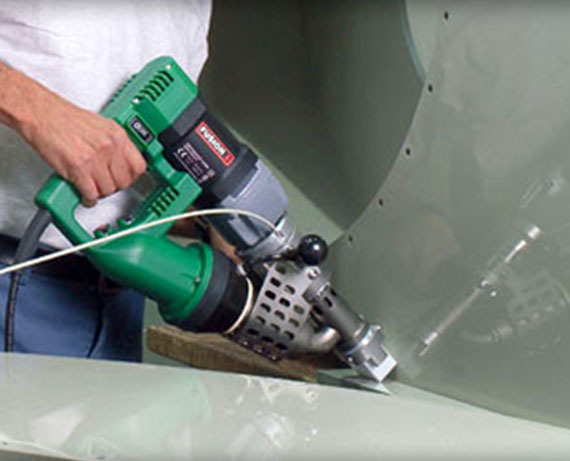 Plastic Welding rod is inserted through the handpiece and welded to the two sheets of plastic material forming a strong bond.